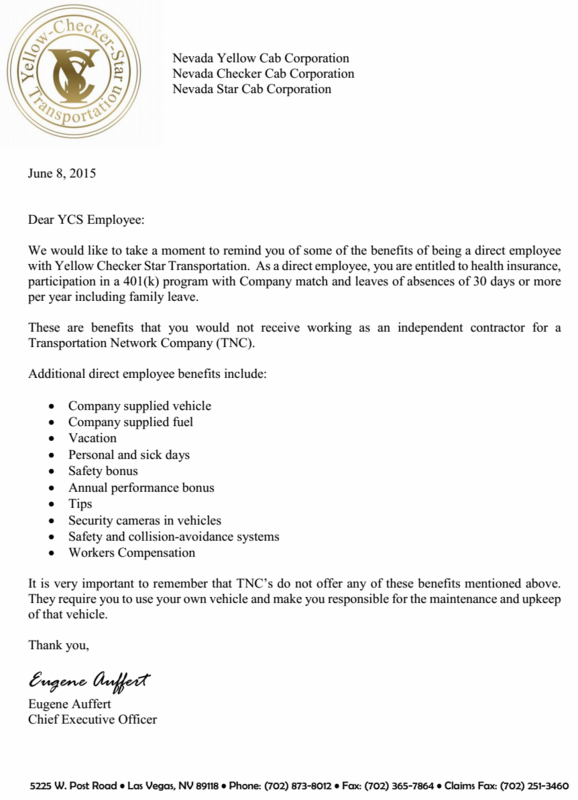 We would like to take a moment to remind you of some of the benefits of being a direct employee with Yellow Checker Star Transportation. As a direct employee, you are entitled to health insurance, participation in a 401(k) program with Company match and leaves of absences of 30 days or more per year including family leave. These are benefits that you would not receive working as an independent contractor for a Transportation Network Company (TNC). It is very important to remember that TNC’s do not offer any of these benefits mentioned above. Feel free to share this. For your convenience, you can easily link back to this article, share the PNG or PDF below.